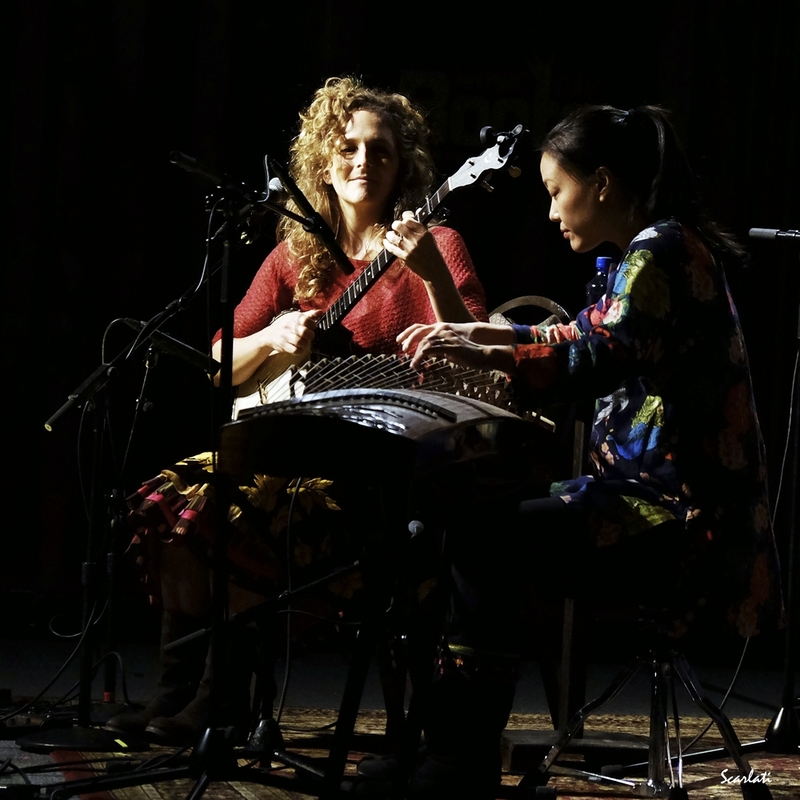 Abigail Washburn (left) and Wu Fei, performing on the live radio show, “Music City Roots,” in Nashville, Tennessee, December 2015. Wu Fei is a classically trained composer and performer of the guzheng, or traditional Chinese 21-string zither. Abigail Washburn is a Grammy Award–winning American banjo player and fluent speaker of Chinese. They’ve been friends for a decade and are now recording an album together. They sat down with Jeremy and Kaiser to talk about their paths to becoming musicians, and how their new work is melding Chinese and American folk music. We’re excited to include in this podcast a number of songs by the duo that have not yet been released elsewhere.